Heritage berkshire Pork is the world's Best! One bite of our 100% Purebred Heritage Berkshire Pork and you'll know: this intensely flavorful, succulent meat is unlike any pork you've ever tried. It yields to the fork. It soaks in the savory. And it renders to a remarkable finish. The remarkable flavor from "The World's Best Pork" doesn't happen by accident or by convention. Our 100% Purebred Berkshire Kurobuta Pork is famous because of the care that is taken from the farm to the fork. It's why we invest in small Midwest farms, why we hand-select the strongest heritage purebreds, and why we select champion purebred genetics. Berkshire Pork is coveted for its tender bite, its flavor, and its succulent fats and juices, and is featured in some of the finest restaurants around the world. Don't just take our word for it. 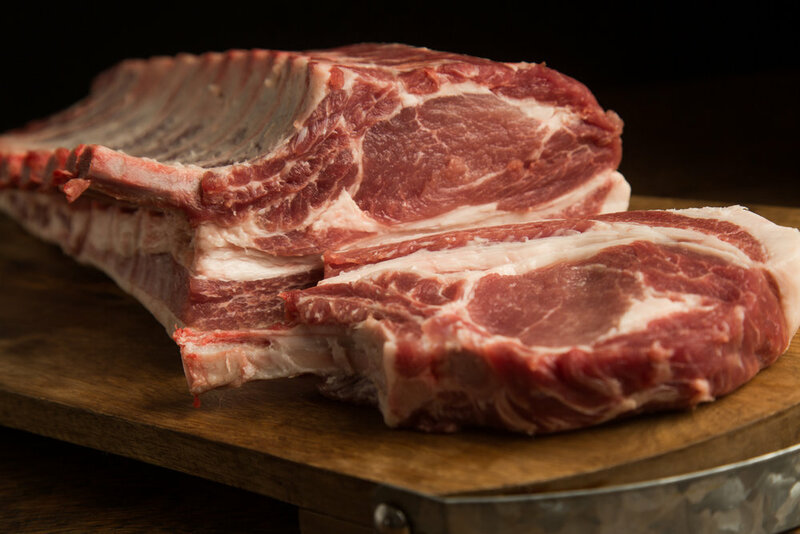 Click below to see what our butchers and chefs have to say about Heritage Berkshire Pork.